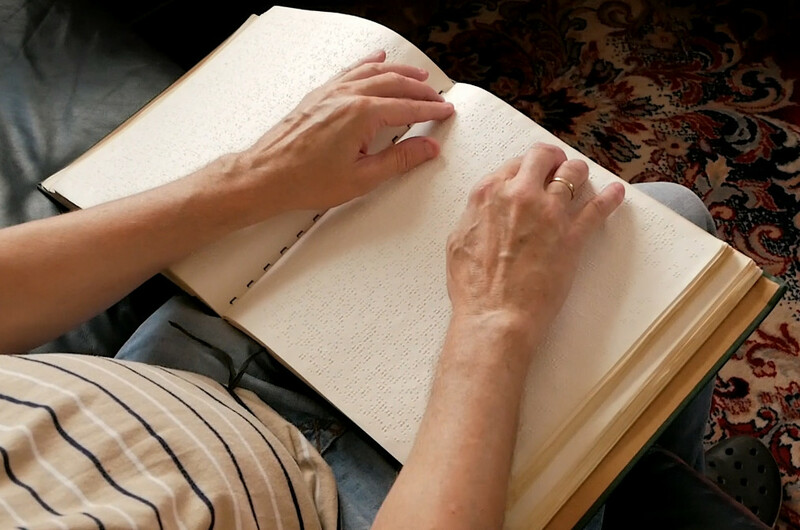 Access to text for blind and severely visually impaired people can be achieved by converting the text into a dot pattern called Braille comprised of up to eight tactile dots. This system was invented by Frenchman Louis Braille in the 19th century and subsequently spread around the world, becoming the equivalent of printed text for sighted people. In the basic arrangement, characters in Braille consist of six dots in a pattern of two columns and three rows. Each of these dots can be set or unset. 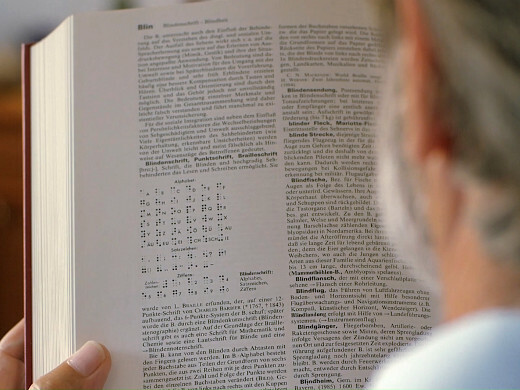 A set dot is raised and can therefore be perceived with a stroke of the reader&apos;s finger. Different combinations of set and unset dots represent different characters. Raised dots on paper can be perceived with your fingertips. Different patterns of dots represent different characters of text. 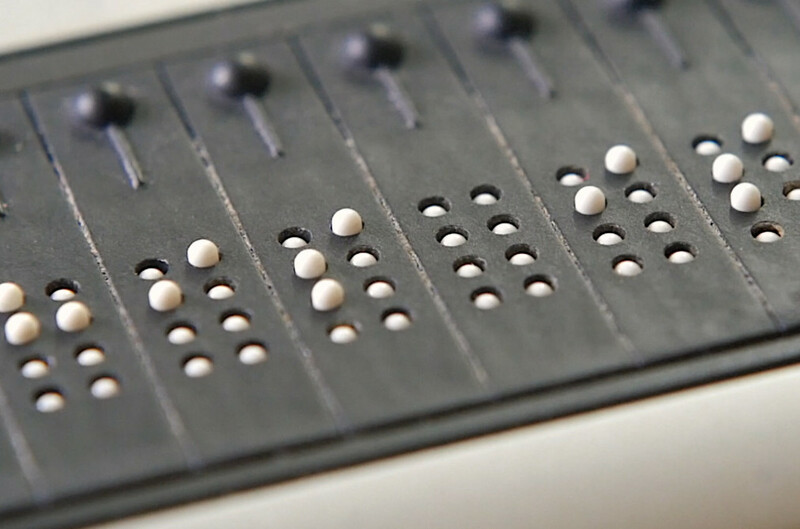 Braille characters need much more space than their printed counterparts. Because of this, Braille books are often written in a complex system of abbreviations and contractions. 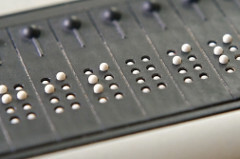 On the other hand, Braille on computers is commonly enhanced by adding a fourth row of dots, so a single character consists of up to eight dots. 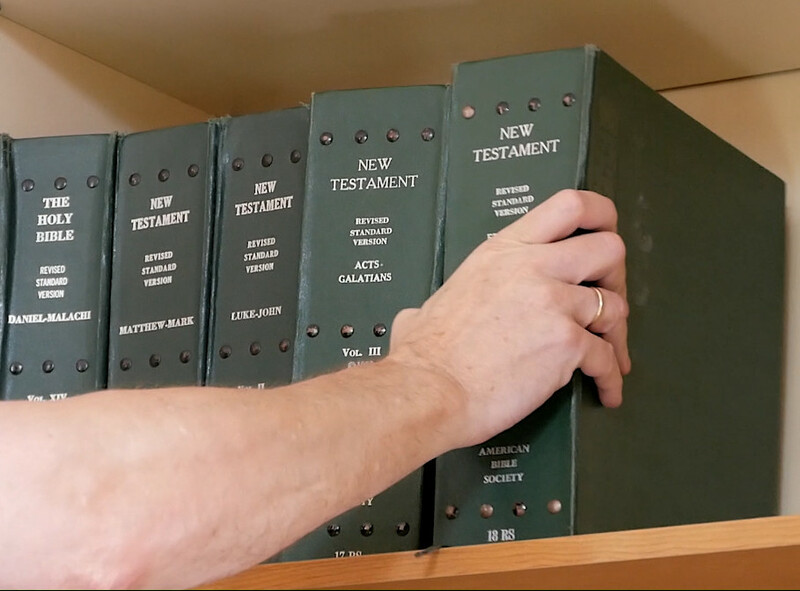 A book written in Braille is much bigger than the same book written for sighted people. Often a book has to be devided into several volumes when converted to Braille. 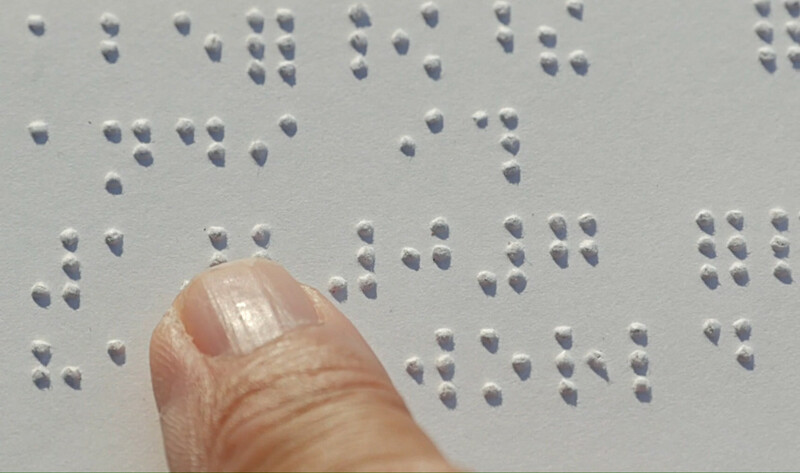 To read text from a digital source, blind people currently use refreshable Braille displays. These devices display Braille characters as a pattern of mechanically raised dots that can be recognized with the fingertip. 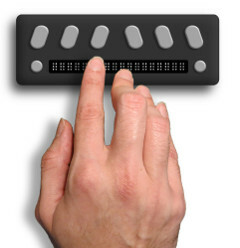 Currently each tiny dot on a refreshable Braille display has to be set individually, thus making the device very sensitive. 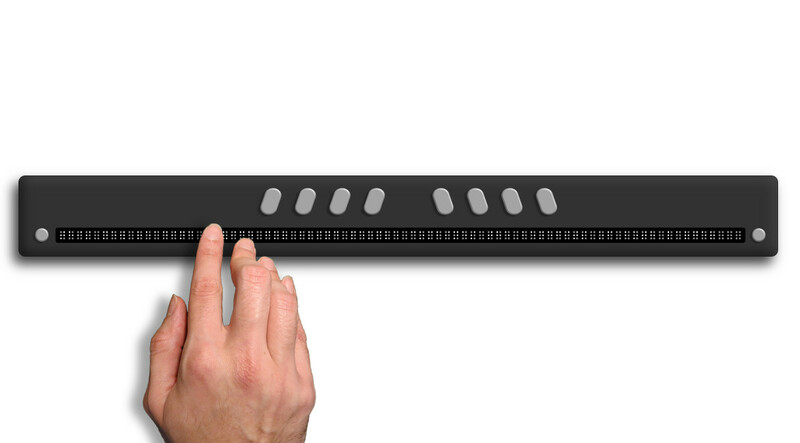 For technical reasons, these devices can only show one line of Braille text at a time. For mobile Braille devices, this line has to be kept short and thus the text will be potentially tedious to read. Desktop devices with longer lines are frequently bulky and very expensive. A display with only 18 characters can be small and portable. But reading a long text can be exhausting. If this caption, for example, is shown on such a display you can only read the first three words »A display with« and then you have to press a button to see the next tiny chunk of text. A display with 80 characters can be much more pleasant to read, but it needs a lot of space and costs a lot of money. This is where Tetragon will change the game by providing a device that will be both portable and capable of showing long lines of text.